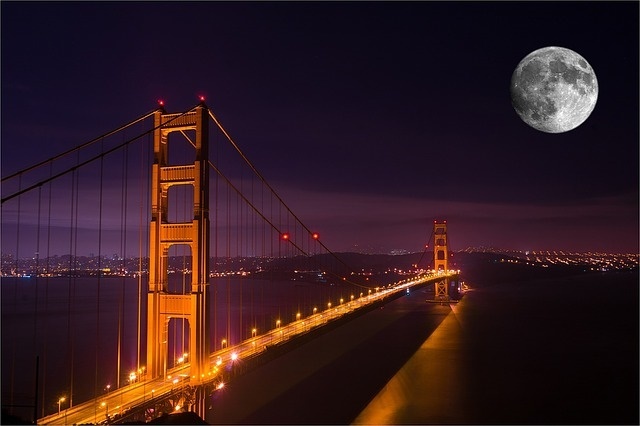 With the Golden Gate Bridge, the “Six Sisters” of Alamo Square, and the hippies of Haight-Ashbury; San Francisco, California is one of the most recognizable cities of the United States. Given the city’s hilly geography and reputation for walkability; you would get more mileage if you combine walking with San Francisco motorhome rental, campervan hire or RV rental in San Francisco. International operators Apollo RV and Jucy Campervan Rentals; as well as national operators Cruise America, Moturis, Road Bear RV and El Monte RV have offices just outside of the city, within 20 miles of the airport. Book your rent a motorhome in San Francisco online to obtain the best deal on RV rentals in San Francisco. San Francisco is a densely populated megalopolis second only to New York, and its neighbourhoods are as varied in character, climate and geography as the waves of immigrants that have called it home. Despite major earthquakes that have shaken the city to the bone; San Francisco has remained chic, hip and relevant; if only because of its unshakeable belief in liberalism that spawns cultural and intellectual revolutions. Once you have selected your unit and found a safe spot to stash your San Francisco RV rental (usually in camping grounds along the Pacific Coast Highway or parks on the other side of the bay), head on over to Fisherman’s Wharf for the famous Pier 39, and then perhaps hop on a ferry to “The Rock,” former prison facility Alcatraz Island just 1.5 miles offshore. 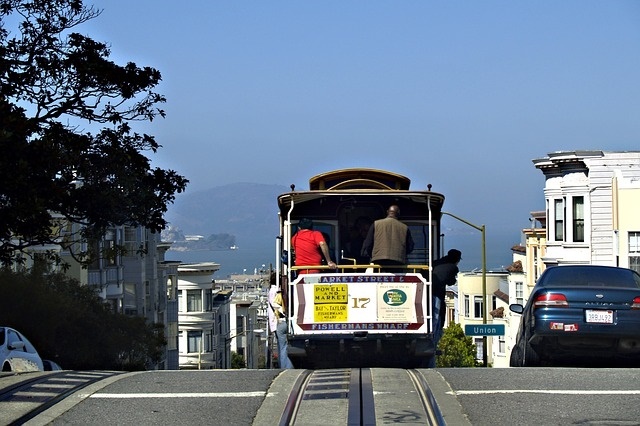 Or, ride San Francisco’s iconic cable car from North Point just south of the wharf to the Cable Car Barn and Museum in Mason Street for a look at their history. Historic Union Square is just less than a kilometer walk from the museum to the south. The blocks that surround the square is alive with posh shops and plenty of organic/vegan only restaurants. From Union Square, the world-changing melting pot of the hippie movement is just 3.5 miles west on your campervan hire or RV rentals in the USA. The Haight-Ashbury of today still evokes the ’60s Summer of Love, although there are plenty of eclectic boutiques, high-end stores, vintage-clothing shops and brunch restaurants that do business alongside exotically named “smoke shops”. Located along Haight Street; the notorious Amoeba Music is a renowned shop for CDs and LPs. The “Six Sisters” of painted Victorian houses across the Alamo Square are 1.5 miles northeast of Haight-Ashbury. Famous for its shops, restaurants and museums geared to the LGBT tourist; the Castro is the same distance southeast on your campervan hire. San Francisco’s history as a Spanish mission can be glimpsed at the Mission District, within one kilometre of the Castro. To get impressive views of the city and the bay, drive your San Francisco motorhome rental to Twin Peaks; located at the geographic center of the city, or about 2.5 miles west of the Mission district. The same distance south is the no-frills Bernal Heights, which offers the same lovely but quieter view. Your San Francisco road trip in California, USA will not be complete without a drive across the beautiful Golden Gate Bridge. There are plenty of RV parks overlooking bluffs on the other side of the bay, where you can camp overnight before heading north to the redwoods 300 miles away, or the more accessible vineyards of Napa Valley just 60 miles north.